« Two main issues regarding Tartaria tablets wich remained unclarified. 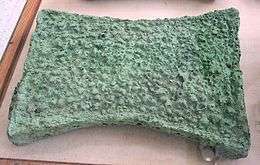 Copper ingot from Zakros, Crete, displayed at the Heraklion Archaeological Museum. 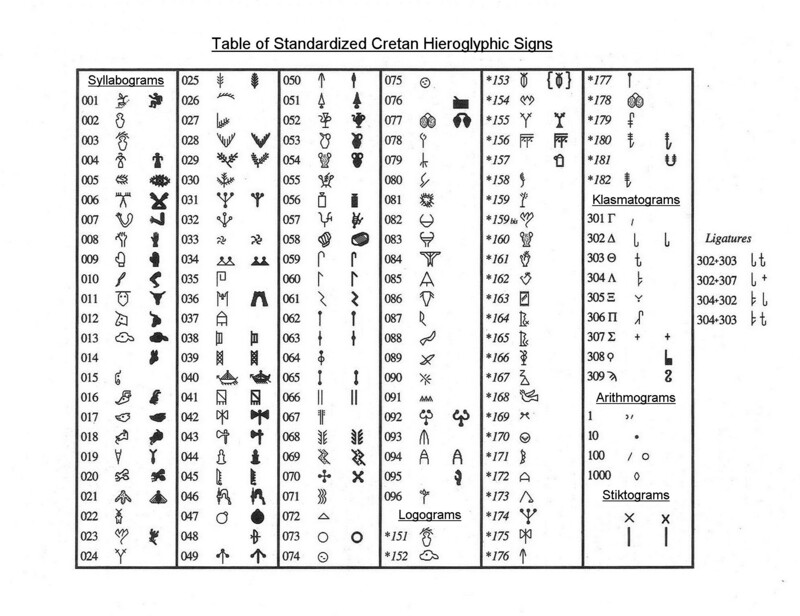 1.IN THE FOLOWINGS, I WILL SHOW SOME SIMILIRATIES OF AEGEAN SIGNS WTH THOSE SUMERIAN-ONES; such relation was noticed also not so succesfully I expecte by Iannis Kenanidis and Evangelos Papakitsos. 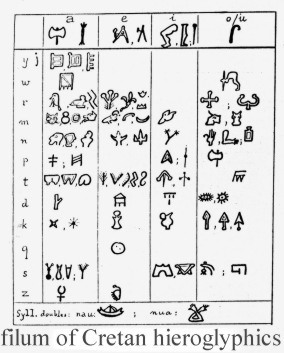 INDUS SCRIPT , http://bharatkalyan97.blogspot.com/2013/04/bronze-age-glyphs-and-writing-in.html “Impressions of two cylinder seals (Sumer) and glyph of ‘ingot’. The person at the feet of the eagle-winged person carries a (metal) dagger on his left-hand, clearly demonstrating the link with this metalware catalog.Note the one-horned bull below the person who has his foot on mountain-summit. Sumerian sign for the term ZAG ‘purified precious’. The ingot had a hole running through its length Perhaps a carrying rod was inserted through this hole. 3. 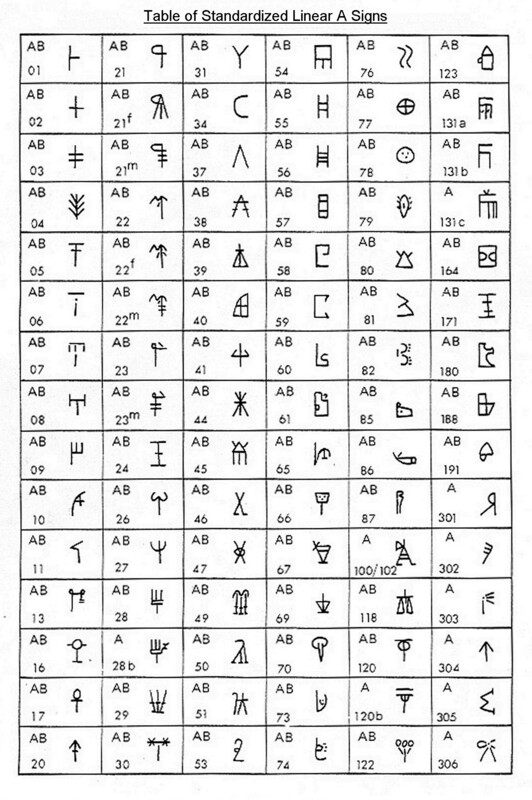 From http://www.kairatos.com.gr/linear1.htm See signs JA and PA.
http://www.oocities.org/proto-language/ProtoLanguage-Monosyllables.htm K?A The Sumerian sign (Jaritz #458) depicts a ‘tubular basket’; a variant, #458a, tapers toward the top; both have top-covers; both presumably and read ga2 (among others). Another recorded reading for it is pisan, which means ‘basket’ but perhaps also ‘*shallow tray’. 1.sum.pr-cuneif sign ZAG < 2.sum.ZAG:”the shine of metals; boundary, border, district’, ” > 3.Aegean sign A,Labrys,?Labyrinthos? product rations except beer.2. 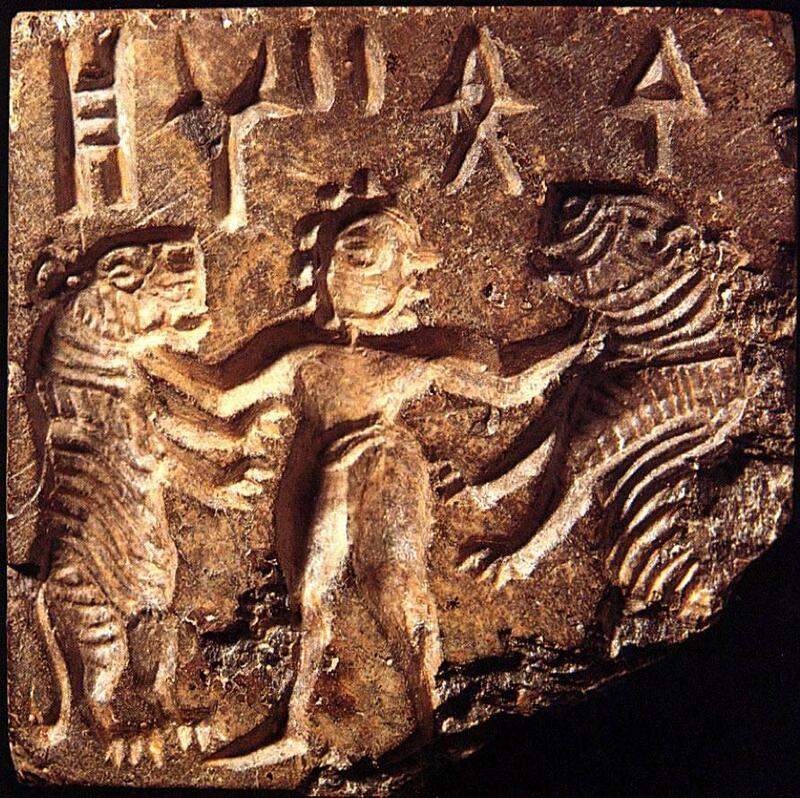 Akkadian called Sumerian – Sumerian Dictionary – Turkic World s155239215.onlinehome.us/turkic/…/SumerDictionaryEn.ht… SUMERIAN DICTIONARY. Links … Common Sumerian words for magical purposes ….. Holy of Holies, BARAGGAL … Metals, ZAG (the shine of metals). Sumerian Lexicon – IS MU https://is.muni.cz/el/1421/jaro2013/PAPVB_13/um/…/Halloran_version_3.pdf (derives from zag, ‘boundary, border, district’, just as þúb relates to gùb). zeþ[SAL.ÁŠ. https://en.wikipedia.org/wiki/Nergal Nergal seems to be in part a solar deity, sometimes identified with Shamash, but only representative of a certain phase of the sun. Minotaur – Wikipedia https://en.wikipedia.org/wiki/Minotaur In Greek mythology, the Minotaur is a mythical creature portrayed in Classical times with the … In Crete, the Minotaur was known by the name Asterion, a name shared with Minos’ foster-father. ……… Some modern mythologists regard the Minotaur as a solar personification and a Minoan adaptation of the Baal-Moloch of the Phoenicians. http://www.unmuseum.org/minot.htm However, they have found what looks like a labyrinth. The labyrinth wasn’t built in a cave below the palace, though. It was the palace. This entry was posted on January 14, 2019 at 4:51 pm and is filed under Epigraphy, minoan, Mycenaean, PROTO-CUNEIFORM, Tartaria tablets. You can follow any responses to this entry through the RSS 2.0 feed. You can leave a response, or trackback from your own site.